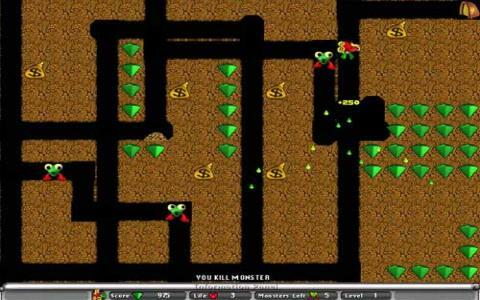 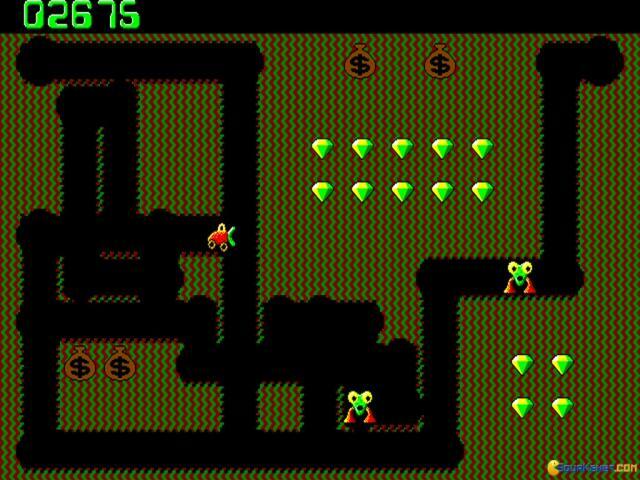 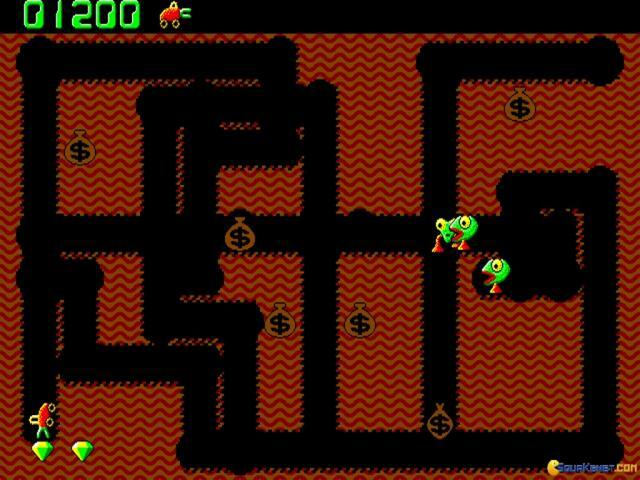 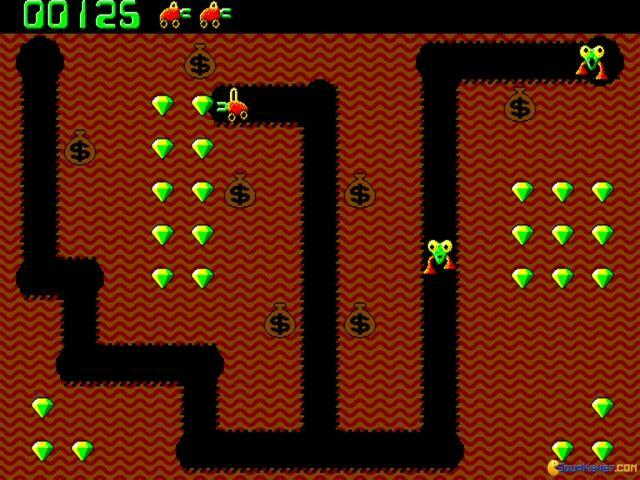 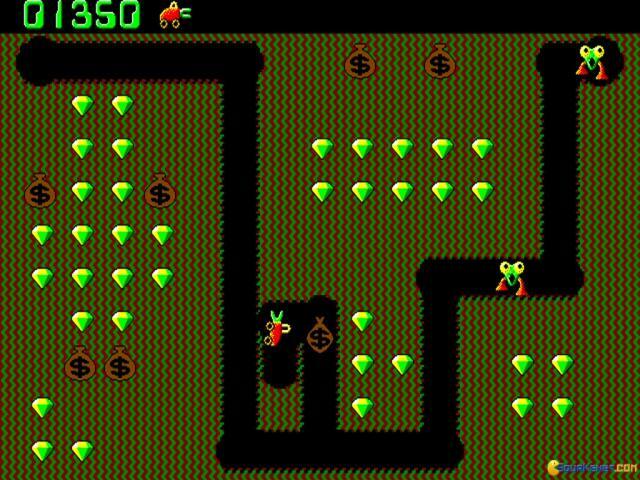 In Digger the original your goal was simple: to find as many gems under the Earth, but, also, to try and not cause a water spillage, or get caught by the underground critters! 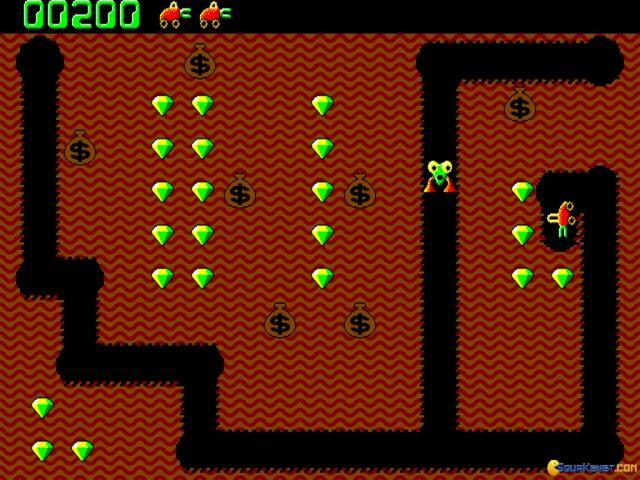 Thus, the sidescroller/top down mash of simple stick man running about and digging for treasure had amassed quite a following and a remake, to offer the game a much more potent graphical set of clothes was very much expected. 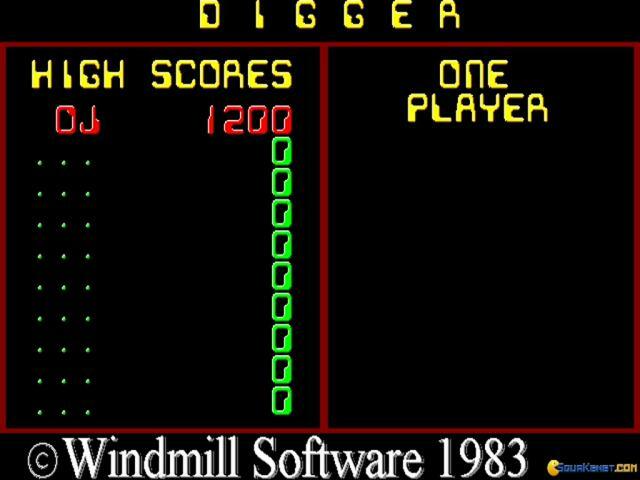 And, Digger Remake is definitely one of the best of them. 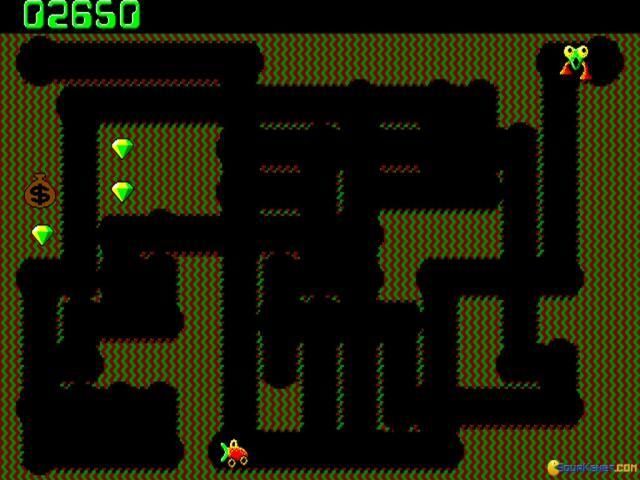 It's got particularly nice looking graphics, though still 2D, and still tributary to the colors and the tile set look of the first game. 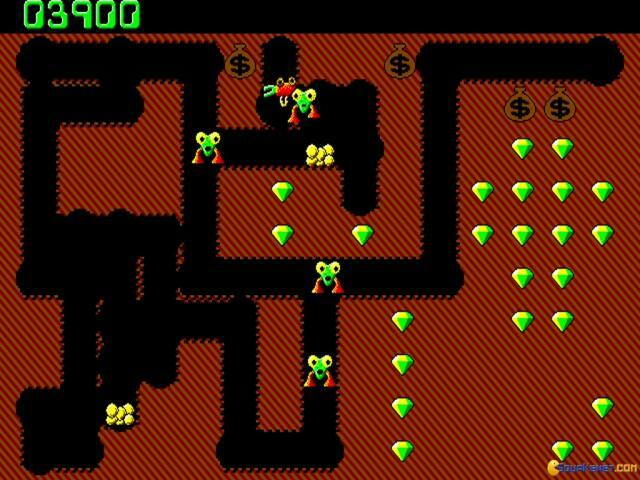 What is however updated is the fact that the game is less jagged, the animations are a bit better, and the game can be played on a bigger screen and in Windows without any other issues. 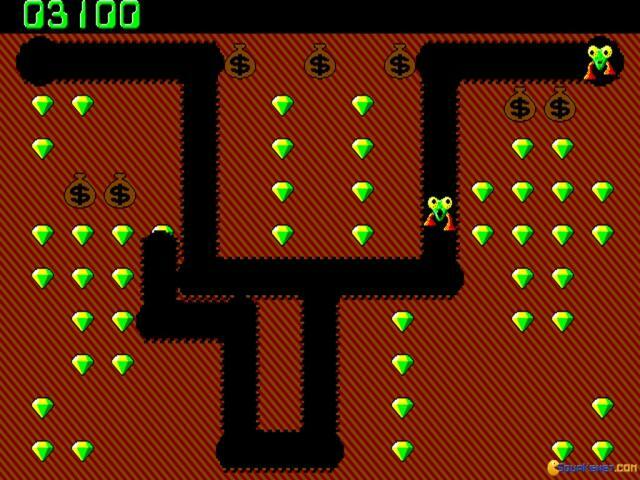 Thus, Digger (remake) is a great game for those that don't want to mess about with DosBox, yet still want to play a game that is similar to the original, with very few alternations, and a gameplay style that is of the original, from all points of view, yet fit for modern machines.